Entertainment giant Billboard faces backlash after removing new song, Old Town Road, by a young black artist from their country charts listing. Lil Nas X is his name and fusing a mixture of country and rap sounds is his game. The music newcomer caused a stir last week when his new single, Old Town Road, was ripped from Billboard’s country charts listing. So, what did country legend Billy Ray Cyrus do when he caught wind of the news? Just like the late Roy Rogers would swiftly mount his trusty steed, the Achy Breaky Heart singer jumped on the track for an epic remix. 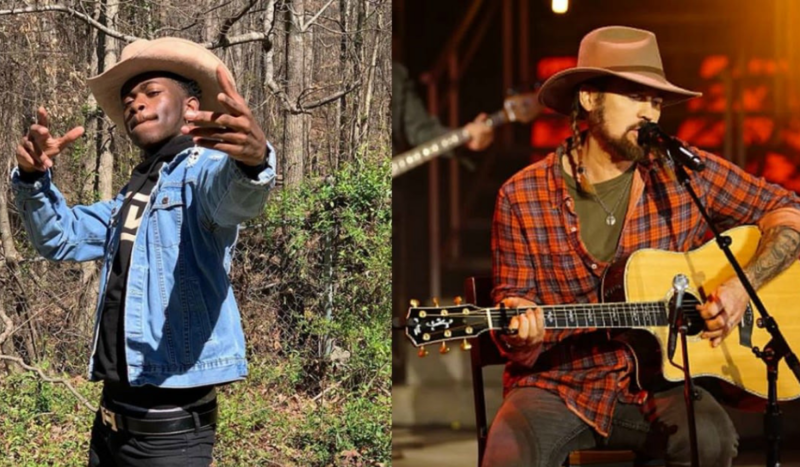 Billboard claims the song was removed due to the song “not embracing enough elements of today’s country music in its current version.” In a newly released statement to Rolling Stone, the publication offered that while the original “Old Town Road” and its subsequent Billy Ray Cyrus remix continue to climb the Hot 100 charts, there are ongoing discussions if they should be classified as country, too. After taking a listen I’m not 100% sure I’d categorize Lil Nas X’s track as country but it is indeed an entire bop.